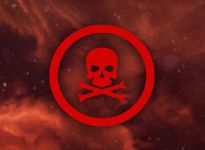 The Retribution expansion introduced Crimewatch 2.0 – namely Suspect, Criminal and Limited Engagement flags. It also shook up the mechanics of aggression, particularly with Sentry Gun mechanics in lowsec. There are now three main flags. Assisting includes Remote Repairs, Sensor Boosting, Drone Assisting. Someone activates a Kill Right on you. Other players can shoot you without incurring Suspect or Criminal themselves. 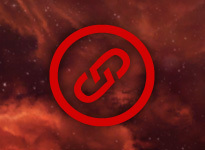 Other players can pod you without incurring Suspect or Criminal themselves. Incurring this on a Lowsec station or gate by shooting someone will cause Sentry Guns to engage you till you warp away. The player you go Criminal against will gain a Kill Right on you. 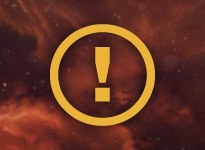 Engage a player in lowsec or highsec. Assist a player with this flag. Allows anyone with a Limited Engagement with you to pod you, and vice-versa. 5 minutes from last engagement between the two parties. There are also 3 “lesser” flags, but no less important. 1 minute since last offensive module activation. 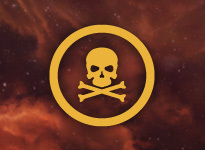 None of the Suspect/Criminal/LE flags apply in Nullsec or Wormhole and do not even appear. A Suspect player engages a neutral player in Low-sec. The neutral player gets the Limited Engagement flag, but the Suspect pilot does not till the neutral engages back. Posted on January 7, 2013, in General stuff and tagged 2.0, crimewatch, criminal, eve, limited engagements, suspect. Bookmark the permalink. 10 Comments. You’re missing a flag I think. You don’t get a Suspect/Criminal/LE flags in 0.0 (including w-space) but you get a log off timer (15min) instead. err… I missed it on your page. Weapons timer, what does it mean? It also means you cannot eject from your current ship. This is the ham-fisted change that makes skill loss almost guaranteed in a strategic cruiser fight. Good catch on both counts. I’ll update later today, cheers! I’m moderately sure that the suspect flag does not allow for podding a player, only blowing up their ship. Suspect does allow for podding. I tested this theory yesterday and found that TG is indeed correct with this. Actually I should be more specific. I believe it is the LE flag that allows podding, but fireing on a suspect player gets you an LE, so it really doesnt matter either way. Late to the party here, but flags all appear in wormholes.